Animal Wildlife | Gentoo Penguin | The gentoo penguin is a medium-sized species of penguin that is found on the rocky islands of the sub-Antarctic Ocean. Gentoo penguins are most easily distinguished by the white "bonnet-like" marking across the top of their heads, and are most closely related to the Adelie and Chinstrap penguins which belong to the same group. 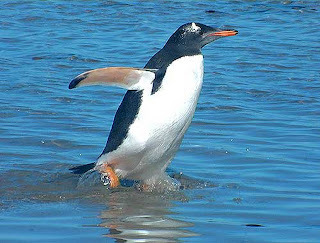 The gentoo penguin breeds on many sub-Antarctic islands, with the main colonies found on the Falkland Islands, South Georgia and the Kerguelen Islands. Smaller populations of the gentoo penguin are also found on Macquarie Island, Heard Islands, South Shetland Islands and the Antarctic Peninsula. 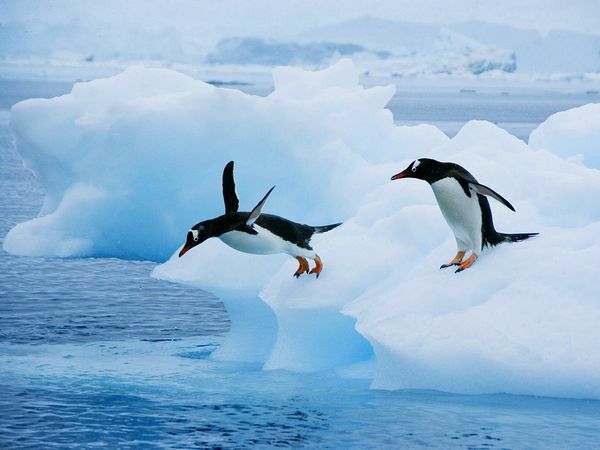 The total breeding population of the gentoo penguin is estimated to be over 300,000 pairs. The gentoo penguin is the third largest species of penguin in the world behind the king penguin and the emperor penguin, with adult gentoo penguins reaching heights of up to 80cm in the southern parts of their range. 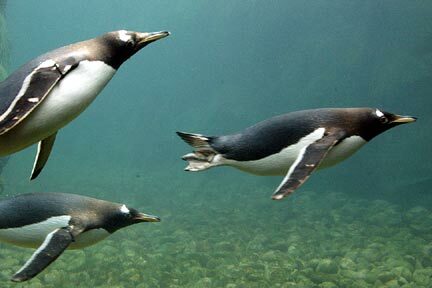 The gentoo penguins found further north, are on average, slightly heavier and taller than their southern counterparts. Like other penguin species, the gentoo penguin has had to adapted to inhabiting very harsh conditions and having to get all of it's food from the freezing ocean. 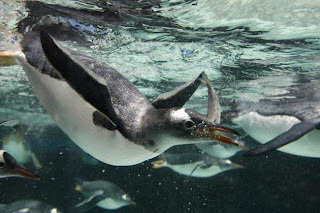 Gentoo penguins use their wings to propel them through the water and are thought to be the fastest swimming of all penguin species, able to reach speeds of nearly 30mph in the water. The gentoo penguin is a carnivorous animal, that like all other penguin species, survives on a diet that is only comprised of marine animals. Krill and small crustaceans make up the bulk of the gentoo penguin's diet along with larger organisms including squid and various species of fish. Due to the fact that they inhabit quite uncompromising regions, gentoo penguins have no natural land-based predators. However, larger marine animals that also inhabit the freezing waters of the Antarctic Ocean will prey on these water-based birds, with leopard seals, sharks, humans and killer whales being the main predators of the gentoo penguin. On average, the gentoo penguin breeds once a year, forming pairs that usually remain faithful to one another. 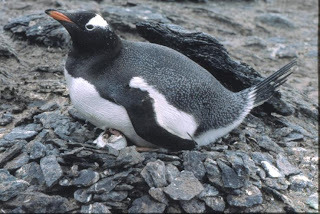 The female gentoo penguin lays two eggs which are incubated by both parents for just over a month months, when only one of the eggs will usually hatch. The gentoo penguin chicks are fed and kept warm by their parents and remain with them until the chicks are around three months old. Today, the gentoo penguin is a near threatened animal as they are easily affected by changes in the water, both pollution and temperature. Gentoo penguin populations in some areas have also been depleted through human hunting. 0 Response to "Gentoo Penguin"